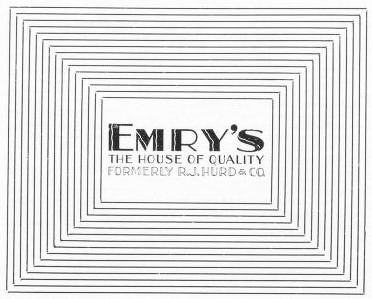 Emry's - The House of Quality. Formerly R. J. Hurd & Co. The Store of Famous Brands. 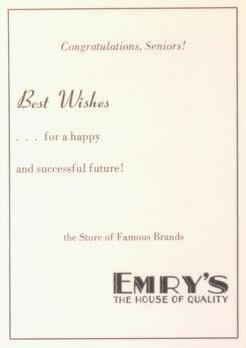 Emry's. The House of Quality.